The most wonderful time of year is just around the corner and one of our highlights on Christmas Eve is filling our children’s stockings. If you can’t tell in this picture below, our kiddos are so pumped for Christmas! There is an excitement and wonder Christmas morning when you have little ones running around that is so magical to watch. 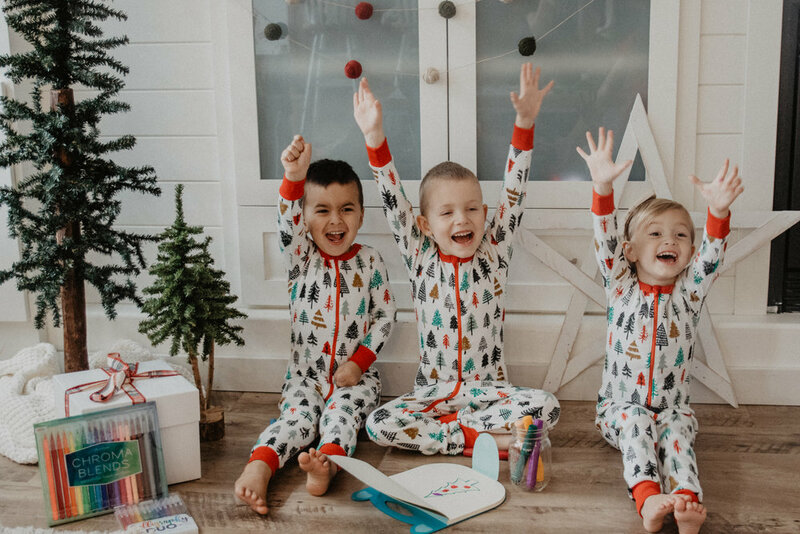 All three cousins decked out in their matching pyjamas from Gymboree is a sight that brings joy to our hearts. We are so grateful for these children and Christmas is a time where we get to share joy and love with them. Here are a few of our favourite companies that we have loved this year. We will be slipping something from them into our kids stockings this year! First up, OOLY, this has to be our favourite art supply company! All of the products they make are kid friendly, vibrant colours and made of excellent quality. OOLY has new Carry Along Sketchbooks and I know Kinsley will love the Fox face (she loves the song “What does the Fox say”). We would pair the sketchbooks with Chunkies - the best non messy paint sticks, and the Itsy Bitsy Stickers such as the Alphabet, Marine, Puffy Pets etc. You really can’t go wrong with anything from their site and you can also find their products at Indigo Chapters. 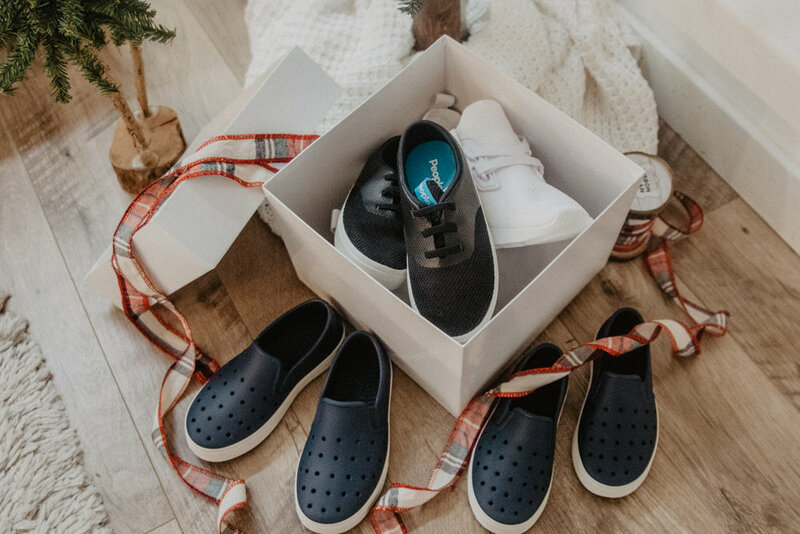 Our whole family loves People Footwear. 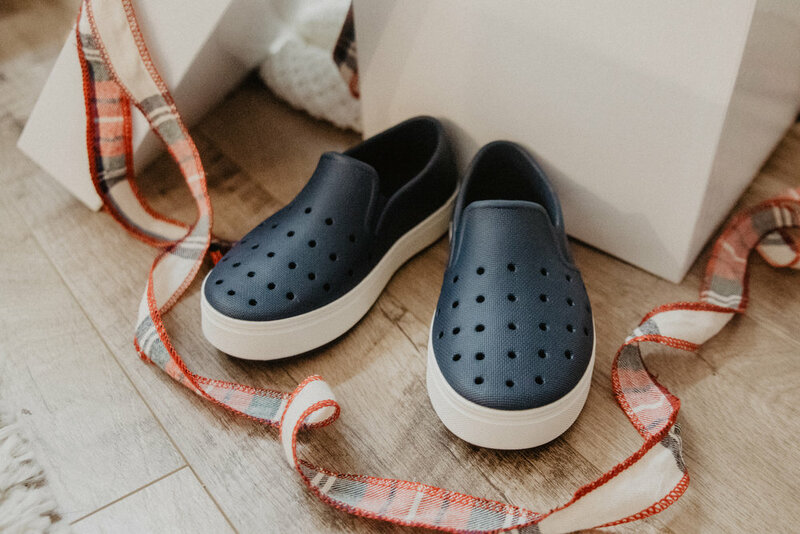 The shoes are comfortable, stylish and easy to slip on and off. Our kids love wearing the Ace and Stanley style! The neutral colours allow the shoes to go with anything! One of our favourite new companies we discovered this year was Reckless Wonder. Reckless Wonder is a Canadian company started by a mom who wanted to find decent quality and reasonably priced socks that wouldn’t fall off. She has created some gorgeous styles and we love the cabin stripe collection in both Kale, Pink and Black. Her sizes range from 0-7 years and the socks are cozy and comfortable! ZonderKidz Books is a publishing company that is behind many of our favourite series of books. The I Can Read Heroes of the Bible Treasury, The Princess Twins, Berenstein Bears Series , Christmas Cookie Day and My Christmas Story Tree are all home to ZonderKidz Books. They offer so many heartfelt books for all ages and we will slip a few of our favourites under the tree for our little ones to read Christmas morning. If you have been following us on Instagram, you know that we don’t watch a lot of tv in our homes. 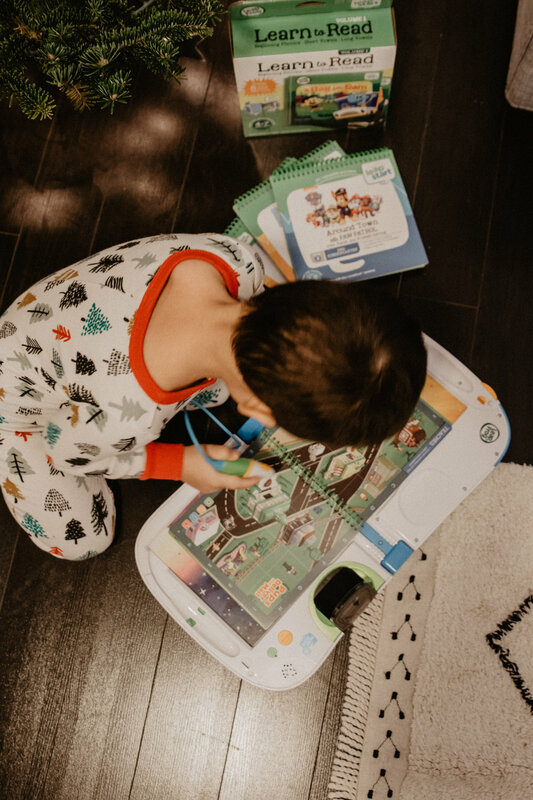 We have used the LeapStart 3D for a few months now and have absolutely loved the activity it provides for our kids instead of turning on a show or movie. 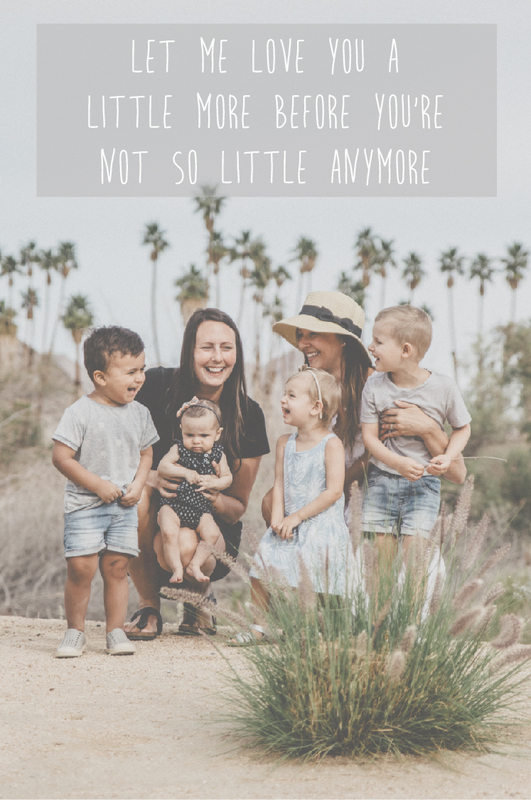 It allows our kids to work independently, learn new things, all the while giving us moms a break and maybe letting us clean up after dinner. 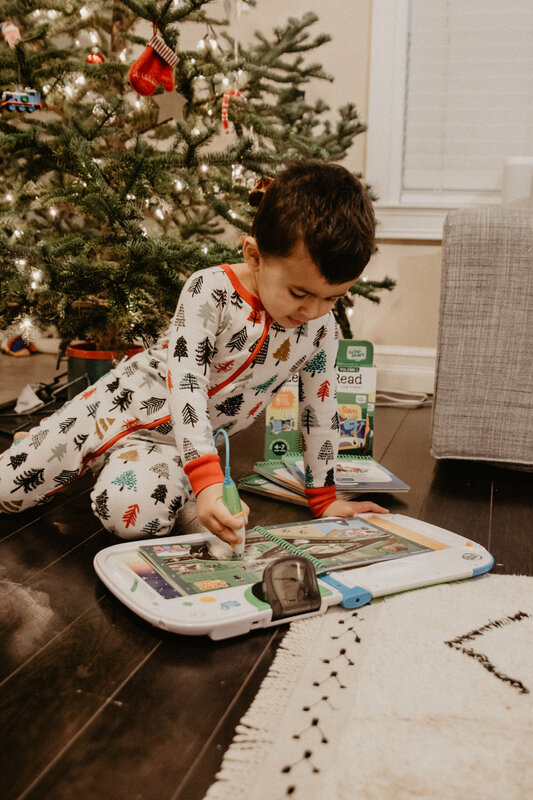 This has been used often in our homes the past few months and we added a few more books this Christmas to our collection; Around Town with Paw Patrol, Daily Routines with Health and Wellness, and Learn to Read Volume 1. Bath time is an almost daily occurrence in our homes and our kids love bubble baths. 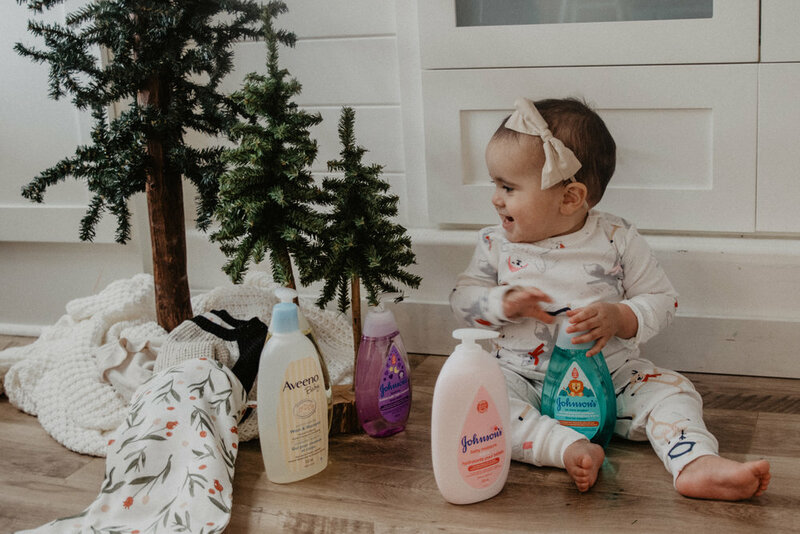 JOHNSON’S® recently relaunched all of their products with new ingredients that are gentle on children’s skin. The Lavender Bubble Bath is one of our current favourites, adding a sweet soothing smell to our evening routine. Lakeshore Learning is one of the best educational and fun places to shop for games and activities for kids. They have everything from toys, board games, arts and crafts, fine motor, to reading and writing activities. Each activity is made for children and helps them engage in a fun and inviting way. 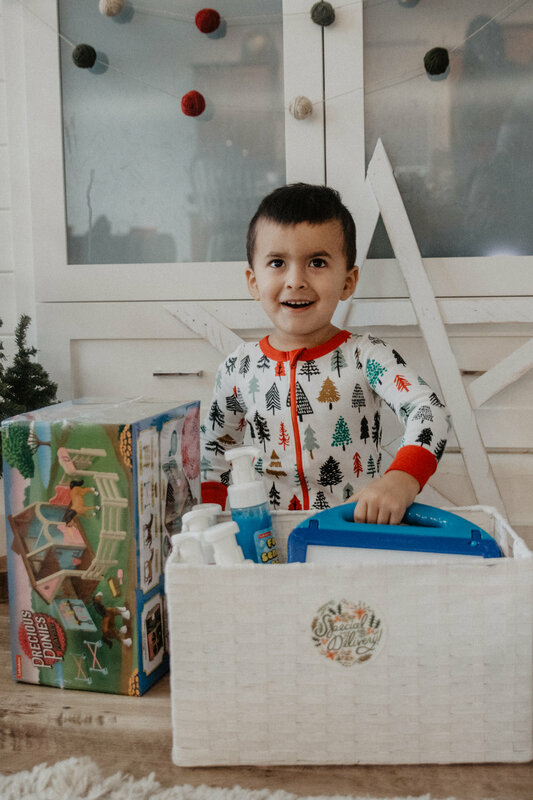 Our favourites for our kids right now are the Precious Ponies Playset (Kinsley is loving horses right now), Foam Sensory Paint for making 3D pictures and the Geometry Light Up Play Centre. The Light Up Play Centre encourages children to create pictures using different geometry shapes all on top of a light board! Christmas morning while we were growing up consisted of putting puzzles together. After all of the presents had been opened and hugs had been shared, it became sort of a family tradition to get going on puzzles. Now, with children of our own, we have shared the gift of puzzles with them. Our children love to do puzzles and our favourite puzzles for little kids are from Ravensbuger. Ravensburger makes different numbered puzzles ranging from 24 pieces, to 35, to 60, 100 etc. 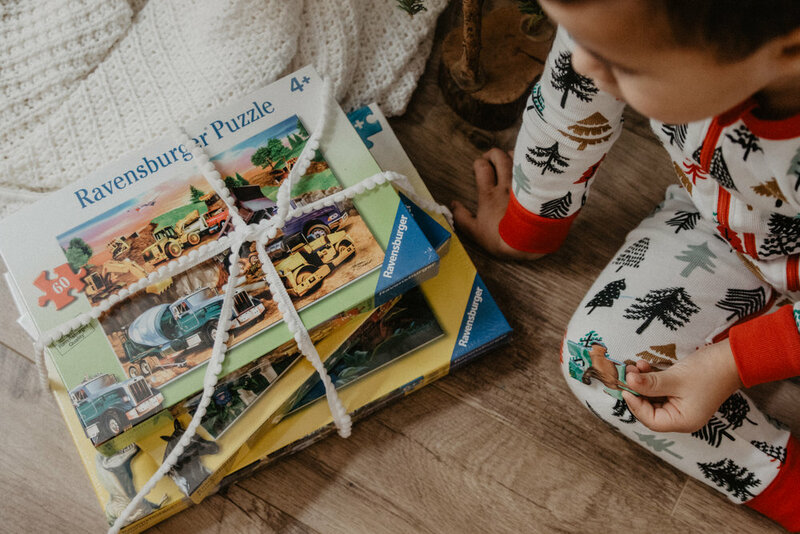 We love that as our kids get older we can purchase puzzles with a higher number of pieces and still know that they are getting the best quality. All kids love to just use their imagination and play and this is something we love to encourage. That’s why Playmobil is such a big hit in our homes because these little figurines allow them to set up their own little world and really get creative with animals and people play toys. They are the right size for small hands and are durable which means they will last with multiple kids! One of our favourites series of books we discovered this year was the Little People Big Dreams series. I have been reading some of them in my classroom and think they are perfect for children. Each book highlights a woman who made a significant impact in our world. Everyone from Jane Goodall, Mother Theresa, Rosa Parks, Coco Chanel, Marie Curie, Audrey Hepburn etc. just to name a few. Quarto Kids is the Publisher behind the series from the UK and is distributed through the Manda Group Publishing in Canada. Each book shares the story of one woman who had a dream and saw it through, accompanied with beautiful illustrations. You can find them on Amazon, Indigo Chapters and we have even seen them at Costco! P.S. We just heard they are coming out with a coordinating boy series in 2019! Gymboree - One of our favourite clothing brands for kids and they have the cutest little sweaters and coziest dresses! 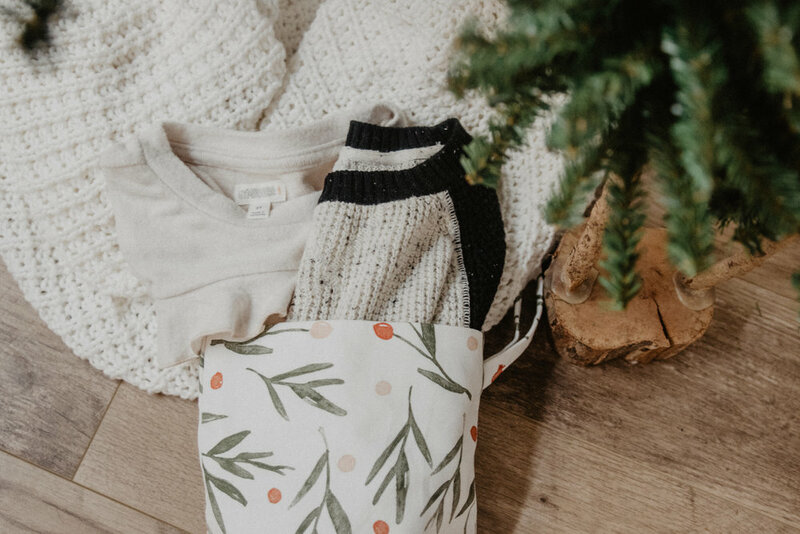 We love slipping in a favourite shirt or dress into each child’s stocking and we love the quality and comfort of Gymboree clothing. We are all big sports fans around here and love encouraging our children to get outside and be active. To be fair, they probably love the same sports teams their parents do (lol), but hey, it gets them playing, moving and having fun! Franklin Sports offers so many awesome sports equipment for children. The mini yankees bat, waffle balls and the MLB Pop a Pitch Game are the perfect size for children. These animals by Terra are incredibly life-like and perfect for small hands. Cairo’s middle name means “lion” because I had a picture of Aslan before he was born and so we wanted to pick a name that reminded us of that, so this little lion family will be a perfect gift for him to open on Christmas morning or maybe find in his stocking. 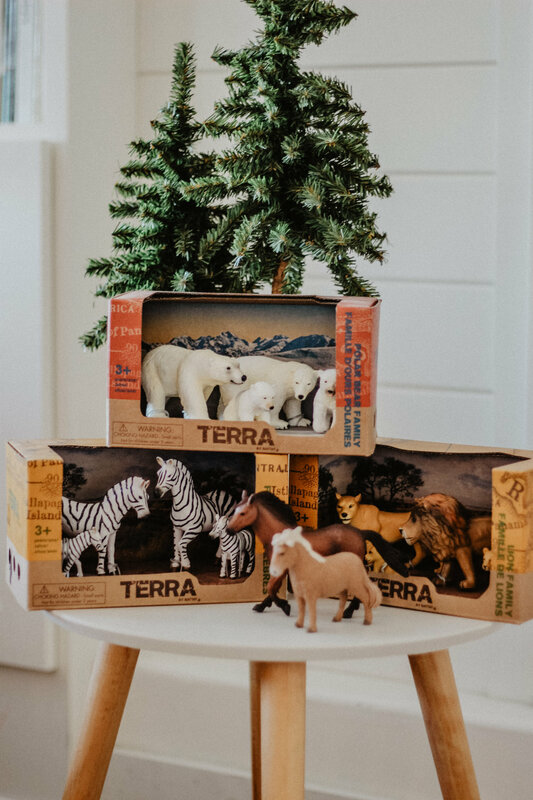 Terra by Battat has an incredible amount of animals to choose from and also these animal families just melt me (especially the Gorilla carrying the baby on its back!). Mrs. Grossman Stickers was around during my childhood. The incredible quality and vibrant colours of these stickers are amazing. Mrs. Grossman offers so many different single sets of stickers, sticker packs, play packs and even sticker books for children, crafting or any other purpose. Lately, our children have loved making cards for people with stickers and I would love to encourage that creative spirit. Mrs. Grossman also just came out with a sticker album that I think will be on my shopping list for the kids this year. Breyer creates so many wonderful different imaginative and creative toy options for children. They specialize in toys related to horses and Kinsley is obsessed with horses right now. 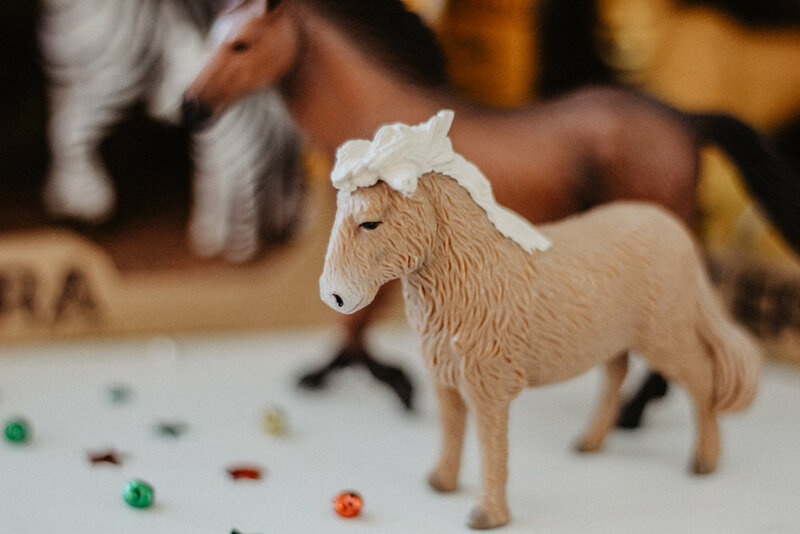 Breyer has smaller sets where children can use their imagination to create their own story and set up with horses, a rider and a few accessories. If you are looking for something easy to take along somewhere, the fold up stable is great for on the go play. One of our favourite items is the creative paint your own horse kits. Each kit comes with a different horse, paints and a paintbrush which is perfect for those long winter months! They also have a variety of other animal toys as well such as cats, dogs, unicorns, goats, cows, bears, hedgehogs, ducklings etc. which would make for wonderful stocking stuffers. Pressman Toys is the company behind many of the games we loved playing as children. Now, our kids are always asking to join in on the family game night fun. A few of our favourites for children are Let’s Go Fishing, Sequence Letters and Charades for Kids. If you have young ones in your home these are sure to be a hit during the holidays and all year round for the perfect family game night. We wanted to share these companies/products with you because we genuinely use these in our homes and love them. 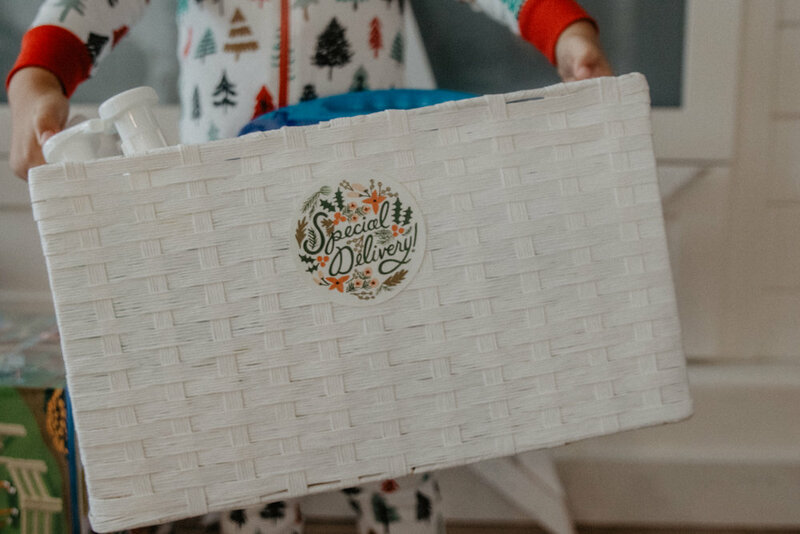 We hope you can find one or two things to add to your gift-giving this year or maybe you have ran out of ideas for kids birthdays - any of these would be awesome!